Call (831) 476-9721 now to schedule! 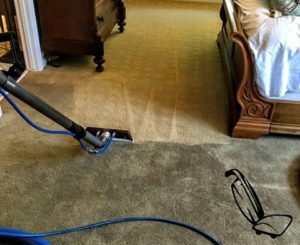 Connoisseur’s unique, customized “Multi-Method” approach to carpet cleaning insures the safest deepest, most effect cleaning available. We’ve learned long ago that no one method is right for every home or business. With our ability to use various extractors, scrubbers and modern safe cleaning solutions, there is no need to over use water pressure or strong solvents. Now slow drying and stiff or sticky carpeting is a thing of the past. An award winning attention to detail that can’t be beat! A thorough pre-vacuuming to remove as much dry soil as possible prior to wet cleaning. Edges too! 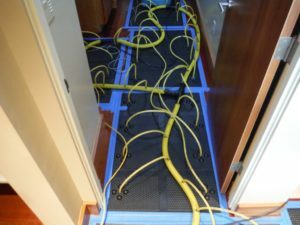 Use of tarps, runners and corner guards to protect your wood and stone flooring. 31 years of fine tuning our carpet cleaning process lets Connoisseur deliver quick drying, soft fluffy carpet and beautiful bright colors! Along with Hot Water Extraction (steam cleaning) Connoisseur is proud to offer Santa Cruz and Bay Area residents and businesses the very latest in low moisture (Dry) cleaning technology. Dry Compound, Bonnet or Encapsulation methods are all available. These systems are fantastic for low use/light soil areas in any home. If you have a business that needs frequent cleanings or touch ups, you’ll love our results. 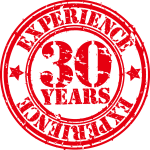 30 years of experience dealing with both the finest and toughest of fabrics. Final grooming of pile fabrics to set the nap. An award winning attention to detail! Our expert cleaning extends the life of your upholstered investments, increases indoor air quality and brings back their vibrant colors and soft touch. We will provide you with spot cleaning tips and maintenance suggestions to help keep your fabric looking beautiful. We offer a variety of fabric protection products including Fiber ProTector of Norway. Ask for more details when you set up your appointment. Mike’s involvement on the education side of the cleaning industry keeps him on top of the very latest in upholstery cleaning methods, solutions and equipment. He owns and operates the industry’s most popular and respected online discussion forum, which is credited for many positive and innovative changes to the industry. Mike also provides one on one training and hosts seminars and conventions around the country each year. For more great information on upholstery cleaning tips and maintenance click HERE. Do your Tile floors need attention? Does your grout no longer resemble the color you spent so much time and effort to choose? Don’t spend all day on your hands and knees with a toothbrush, hire a Tile and Grout Cleaning Professional to restore and protect the original beauty of your stone and tile surfaces. Stone enhancing, protective coatings and sealers. Connoisseur’s unique approach to tile cleaning has us prepared to safely and effectively clean deep into grout. We use a variety of both alkaline and acidic cleaning agents, mechanical and hand operated scrubbing devices, contained pressure washing systems and all sorts tricks up our sleeves that only years of experience can earn. 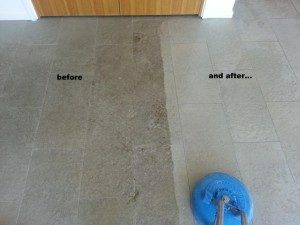 Our contained steam cleaning system is simply incredible on porous floors like Travertine and Limestone. Much like white carpeting, many home owners are finding that they are benefiting from annual cleanings. Mopping is just not enough and often times, is the source of the problem. We’ll gladly show you an easy, economical system to maintain your flooring between our visits. 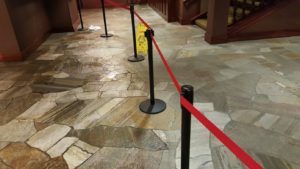 Give us a call to discuss your hard surface cleaning project today! Fiber ProTector® is the most technically advanced and effective fiber protect ion system available. a textile’s original appearance while extending it’s service life cycle. It has a long residual effect and is completely harmless to humans, animals and the environment. Fiber ProTector® has, for years, been the preferred anti-soil and stain treatment for numerous hotels, cruise ships, aircraft manufacturers, public transportation, theaters, corporate offices and custom made manufacturers of carpet and fabrics. 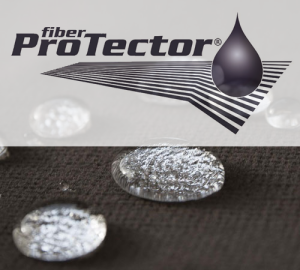 Fiber ProTector® forms an invisible shield around textile fibers providing an effective barrier against all kinds of organic matter, fluids, dust and debris that on unprotected textiles would result in permanent stains. Fiber ProTector® adds UV protection, it is bacteriostatic, reduces static electricity, inhibits the growth of mold and mildew and does not affect surface texture or breath-ability. Home owners use Fiber ProTector® for wall-to-wall carpet, cloth and leather upholstery and chairs, curtains and draperies, bed linen and blankets, rugs (including Oriental, Persian and Navajo). Interior Designers use Fiber ProTector® for hotels and restaurants, hospitals and institutions, shops and office environments, ships, planes, trains and buses, theatres and concert venues. Fiber ProTector® products are used and approved for hospitals, retirement homes, doctors’ practices, hotels and exclusive restaurants, assisted living facilities, public areas, and conference halls. Unlike most fabric protection services, Connoisseur does not farm out our spot cleaning service, rather we do all the servicing to protected pieces ourselves. Having been cleaning fine upholstery for 30 years, it is very rare come across a spot or stain we cannot improve. All carpets and upholstery protected when new or not, will require maintenance. 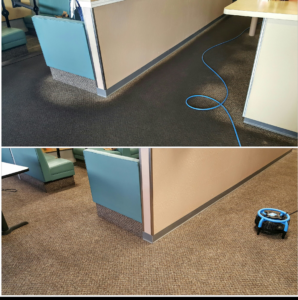 Fiber ProTector treatments will not keep spills and dirt from landing on a carpet or chair; it simply provides easy stain removal and reduced intervals of deep cleaning; thereby achieving considerable savings in cleaning and replacement costs. The net effect is that the original appearance can be maintained by routine cleaning. Fiber ProTector will not affect the natural properties of textiles either in appearance or by feel. Unlike competitive Silicon based products, Fiber ProtecTor does not leave a film behind to attract soil. Granite, Marble, Travertine, Limestone, Slate or Flagstone floors? You bet, Connoisseur cleans, restores and protects them all. Contained Steam Cleaning of all stone surfaces, inside or out, to extract absorbed soil types without a mess. Re-Caulking of tubs and shower stalls w/ Epoxy fortified grout with custom colors available. 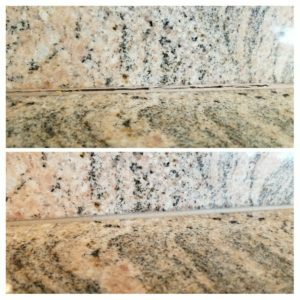 Connoisseur’s unique approach to natural stone cleaning and restoration has us prepared to safely and effectively renovate your stone surfaces. We use a variety of cleaning agents, mechanical and hand operated scrubbing and polishing devices, contained pressure washing systems and all sorts tricks up our sleeves that only years of experience can earn. We’ll also gladly show you an easy, economical system to maintain your stone surfaces between our visits. Many modern synthetic and wool rugs can be safely and effectively cleaned at the same time we take care of your wall to wall carpet, tile or upholstery. Many “bargain” rugs are so inexpensive these days that the cost of an in-plant cleaning can exceed the value of the rug. We’ve developed our safe and effective process for this situation and for more costly rugs that were recently washed but just need a freshening up. Our in-home process starts with a thorough dry vacuuming of both the front and back of the rug, if necessary with certain wool rugs, dyes are tested for color fastness, then the proper cleaning agents are selected and custom mixed. 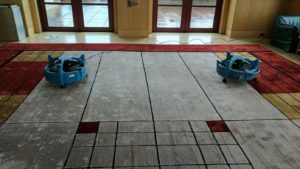 Your rug will be laid on disposable plastic tarp to protect delicate flooring underneath if needed, then pre-treated and safely agitated to loosen the soil. Next, we’ll use the appropriate extraction equipment which will flush your rug of the soils and cleaning solutions, leaving it soft, bright and beautiful once again. 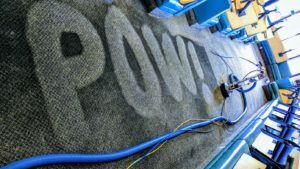 Most rugs dry in under 24 hours, with synthetics a lot less and with thick wools we can loan you a special carpet drying air mover to help assist. Connoisseur also offers a Very Low Moisture process for rugs that due to size, age or location, just can’t be taken out of the home. Delicate antiques, chronic bleeders and shrinkers as well as custom fitted rugs with heavy furniture placed on them our perfect candidates for the extremely safe and effective process. 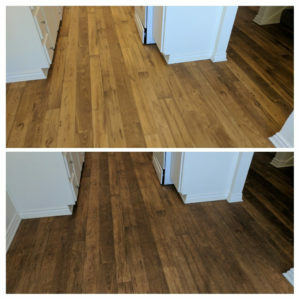 Most vinyl floors are steam cleaned which provides incredible results. Safe, quiet and ready for use right away. Take all the passion and skill that we apply to our famous residential process and magnify it by as many thousands of square feet as you’d like. Have us come out for a free consultation and measurement and we’ll discuss your options on methods, pricing and timing. You’ll be thrilled with our quick drying, long lasting results just like these notable businesses, to name a few..
Connoisseur offers restoration services in partnership with Clean-tec. Since 1974, Clean-tec’s business has been restoration, and they are committed to restoring your home back to a healthy living environment by assuring you that each part of your experience is made as simple and stress-free as possible. They are a local, family owned Santa Cruz business and they can get there fast to stop the damage! Clean-tec restoration specializes in repairing damage from water, fire damage and mold. Clean-Tec specially trained to handle mold remediation, mold damage and mold restoration. Whatever your emergency is, flooding, water damage, fire or smoke damage or damage to your home from mold, they can help! Call us for any of your water, flood or mold remediation and restoration or questions.